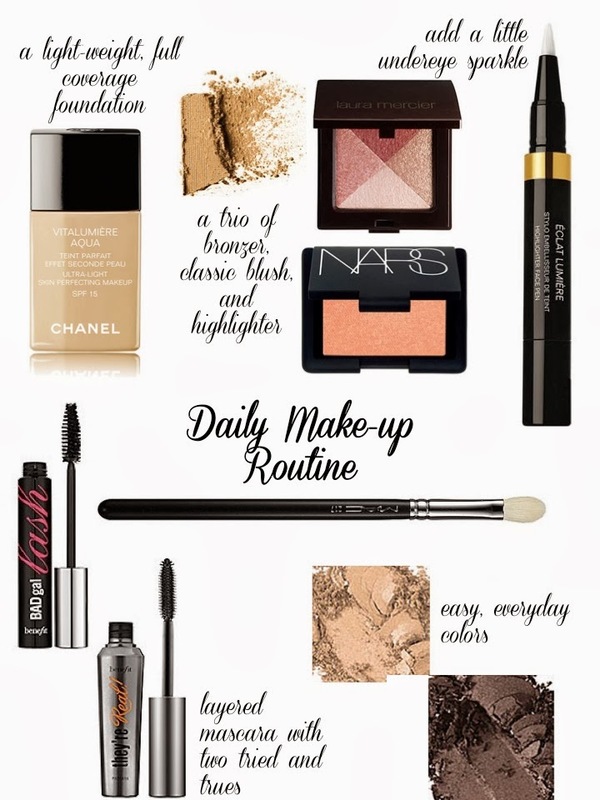 In my daily make-up routine, I need items that quick and easy, but still help me look put together and polished. Though I love BB creams and tinted moisturizers, this Chanel foundation is simply perfection - light weight enough to feel as if I'm not wearing anything, but with enough coverage to be substantial. Another must - a heavy duty eclat that will lighten my under-eye circles. A few other brand loves: NARS for their bronzer and blush (seriously two products that I continue to re-purchase time and again) and layering Benefit's two mascaras - BadGal and They're Real. What are your go-tos? your tried and trues? Have you found the Holy Grail of make-up products yet? I used to buy Nars bronzer and I miss it! Ahh.... I was so, so close to purchasing that foundation on Belk on Sunday night. I decided I have too many foundations for it now, but it's definitely next on my list. I did buy my first Chanel lipstick, though. And, my goodness! I'm hooked.